“I’ve always felt lucky I was born in Greece and able to enjoy the sea at every opportunity. I feel at home at sea; I love its wildness, its unpredictability, and its incredible beauty. Fortunately, I grew up in a family that taught me to use all necessary means to protect it: During our Summer holidays, my parents, my sister, and I we were really frustrated with careless beach visitors who left their litter lying on the sand. I remember spending hours and hours collecting trash; plastic bags, cigarette butts, and bottles. 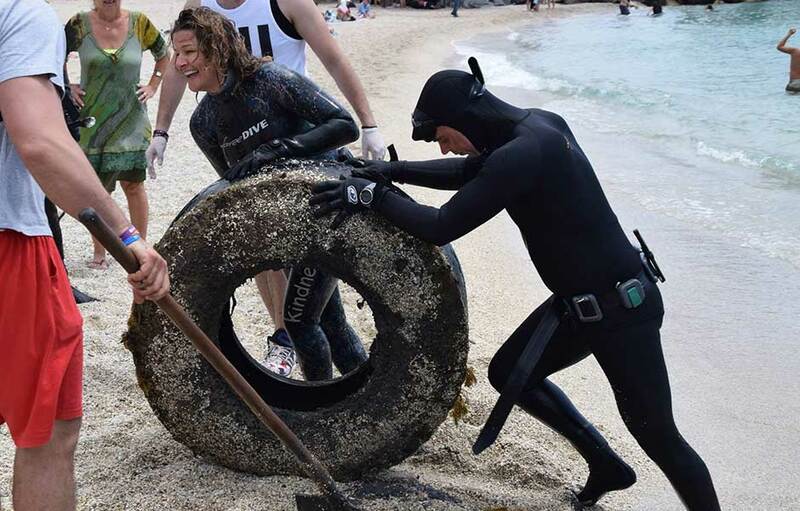 How can you combine beach & underwater clean ups? Organization is the key. 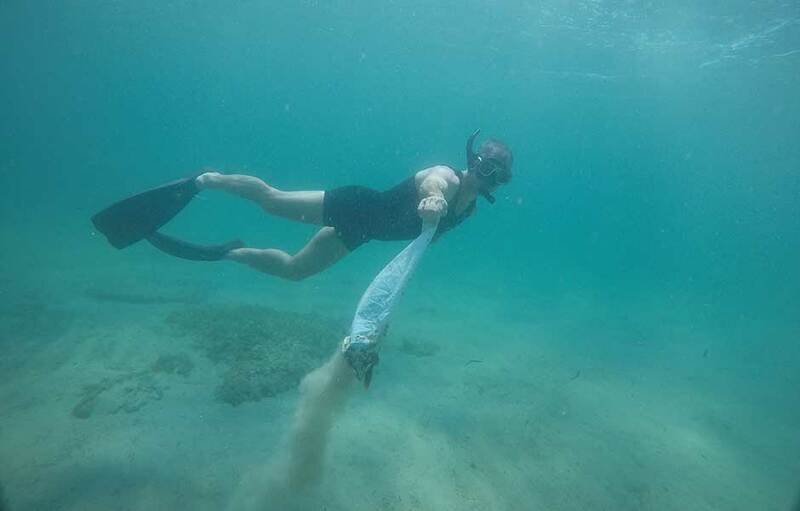 All the Shark Awareness & Ocean Conservation Seminars participants, professional divers, and volunteers are responsible for the beach cleanups, whereas Katerina and other professional divers are responsible for the underwater cleanups. What’s the beach cleanup like? Participants (students, parents, educators, volunteers, and divers) gather at the area to be cleaned. The cleanup is done with the use of disposable gloves and special butterfly nets. And what’s the procedure for the underwater cleanups? – There is no time restriction for her; the air of a scuba tank lasts for only 40-50 minutes or so, while Katerina is able to stay underwater many hours as a freediver. What happens after the cleanup? 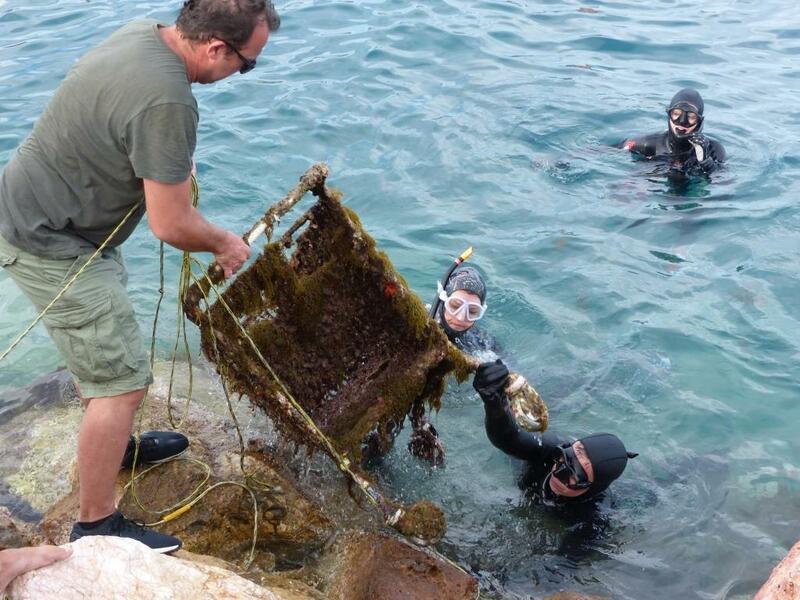 The following steps occur: Trash and marine debris removing weighing. Careful waste sorting according to different kinds of material (plastic, glass, metal, wood, etc.) with the help of the volunteers and the co-operating Public or Private Organizations. Transportation of trash to special recycling sites recording all the debris removed in an international data base. What makes AllForBlue cleanups special? The results of the cleanups are saved in the Project Aware database; there is official record of the number of square meters cleaned and garbage collected. To date, Katerina and her team have taken 20 tons (!) 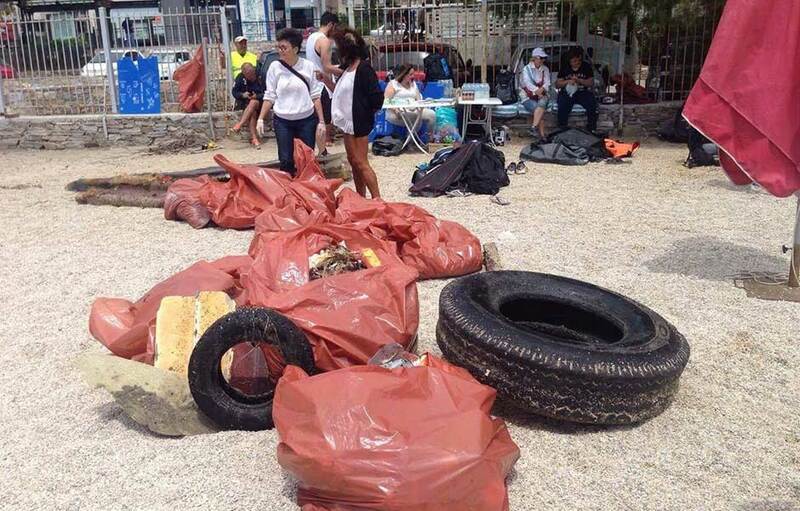 45.000lbs of trash out of the ocean during organized cleanups, and a countless quantity in non-organized ones. 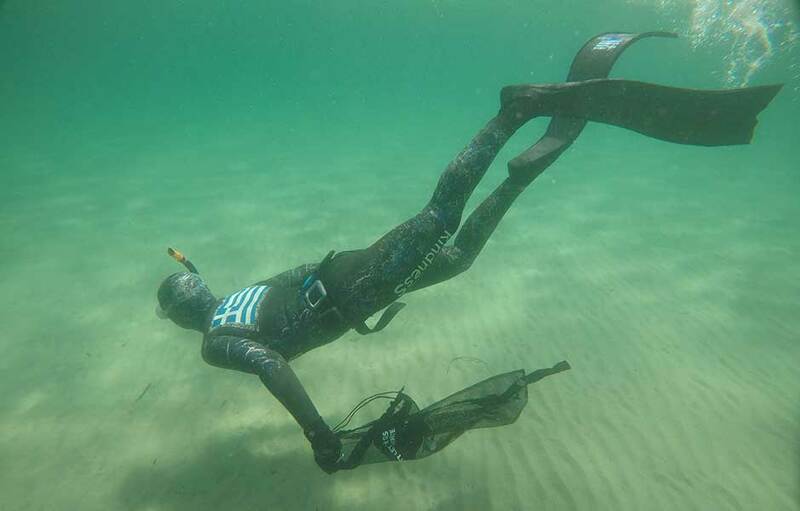 By collecting and recording the garbage in the Project Aware database, the participants are now able to become “keepers” of the now cleaned beach and receive a diploma, as a proof of their environmental sensitivity. 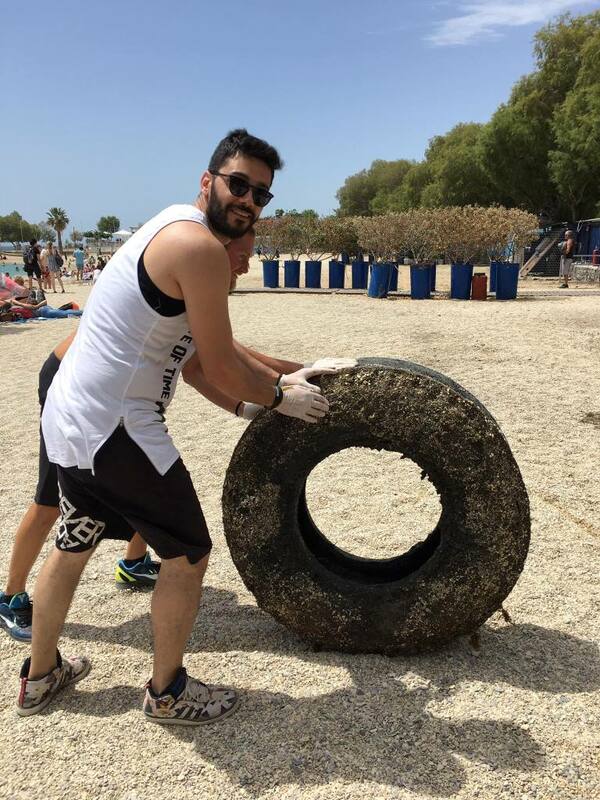 By collecting and recording the garbage in the Project Aware database, the participants are able to “adopt” the now clean beach and receive diploma, as a proof of their environmental sensitivity.